… when you get to convalescing, that is, after the fever breaks. Order some nice Perth winter sunshine (about 18ºC) following a rainshower that leaves everything fresh. Find a (dry) wind-sheltered possy over looking the Indian Ocean. 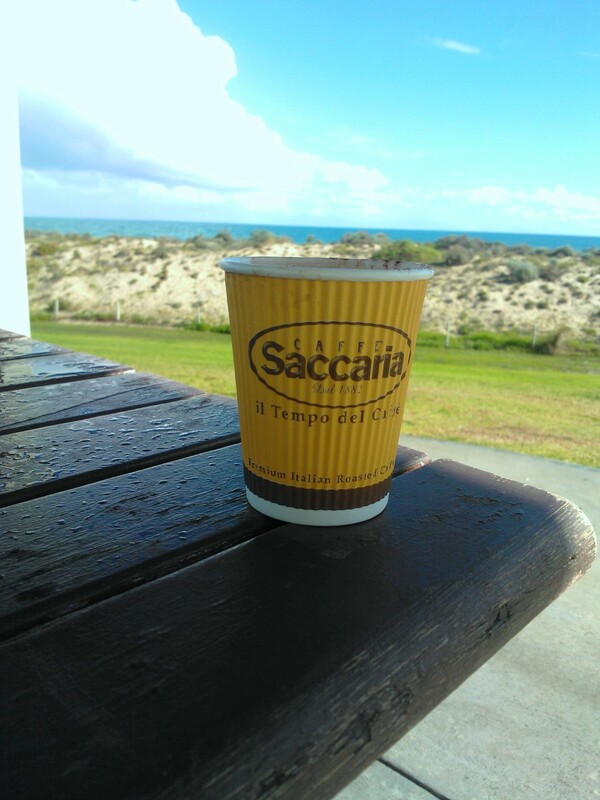 Buy a nice hot chocolate from the beach kiosk that just happens to be open for your convenience. Enjoy for as long as it takes! Let the sun soak right through those weary bones! Sounds good. Hope the recovery is full and soon! I’m just too far from the Indian Ocean to see it (about 70 kms). And, of course, I’m looking east towards the ocean; you look west. Sounds like the perfect remedy. So sorry to hear you’ve been fluey. Get well soon! Thanks Kate – I’m definitely on the mend!